On January 26, 2013, I flew into Montreal and spent the night. In the morning, I met up with Nissan representatives at the airport and was paired up with a driving partner. 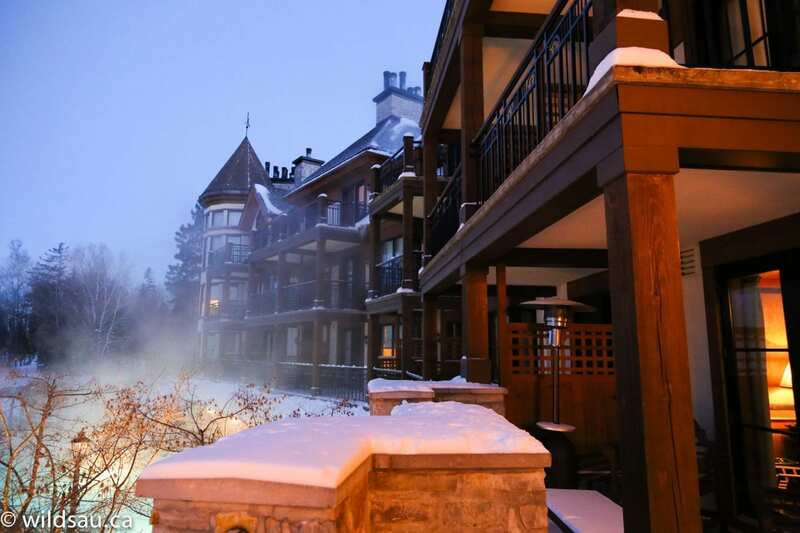 We made our way out of the city and headed toward Mont Tremblant. 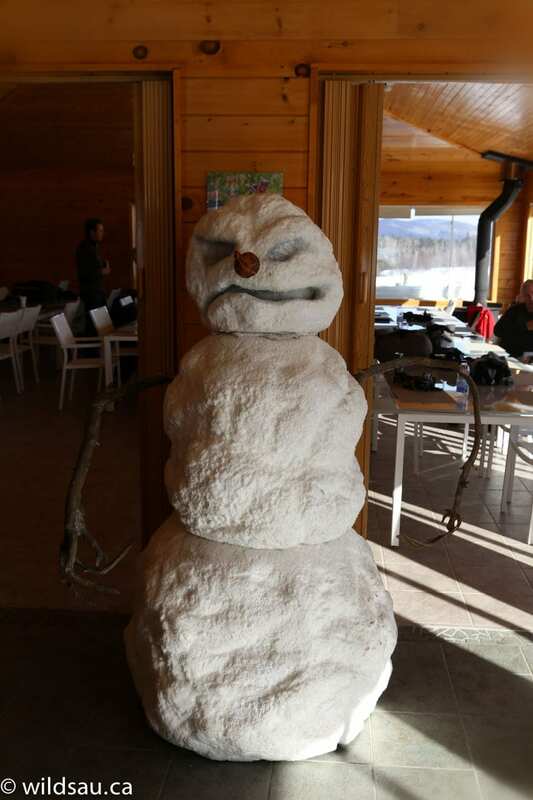 We found our way to the setting for dinner – a hidden gem in the form of a rustic backcountry lodge catering to paintball heroes in the summer and skidoo expeditions and dog sledding trips in the winter. 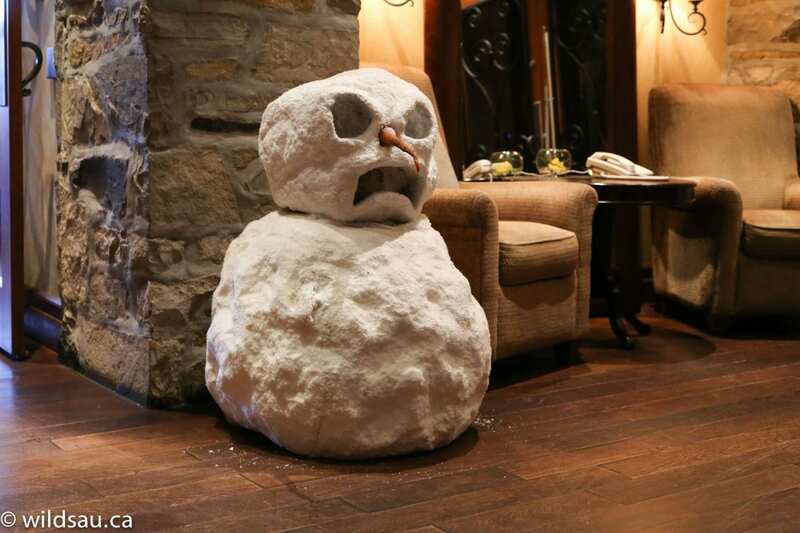 A spectacular dinner beside a huge wood-burning fireplace was a nice way to take a load off for the evening. 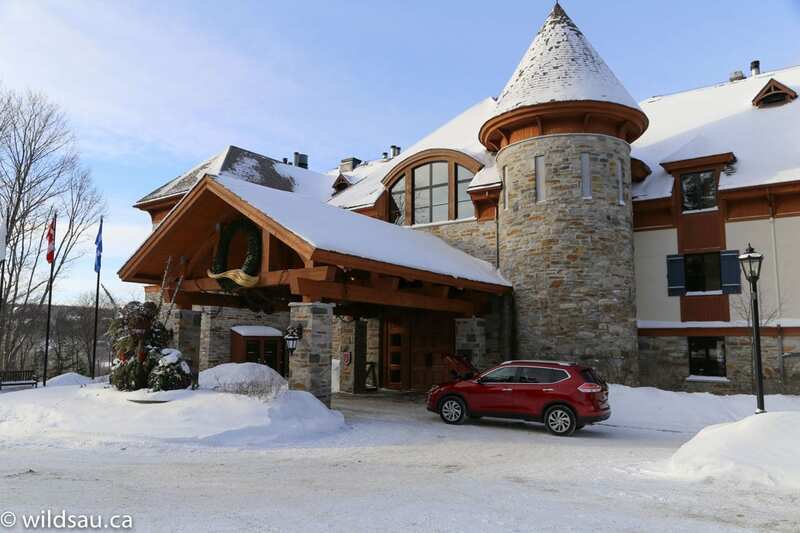 But the real treat was our accommodation – Nissan put us up at the incredibly scenic Hotel Quintessence in Mont Tremblant. Put it on your bucket list. It is a setting and an experience unto itself. I added some pictures of the hotel’s interior and views underneath the article. 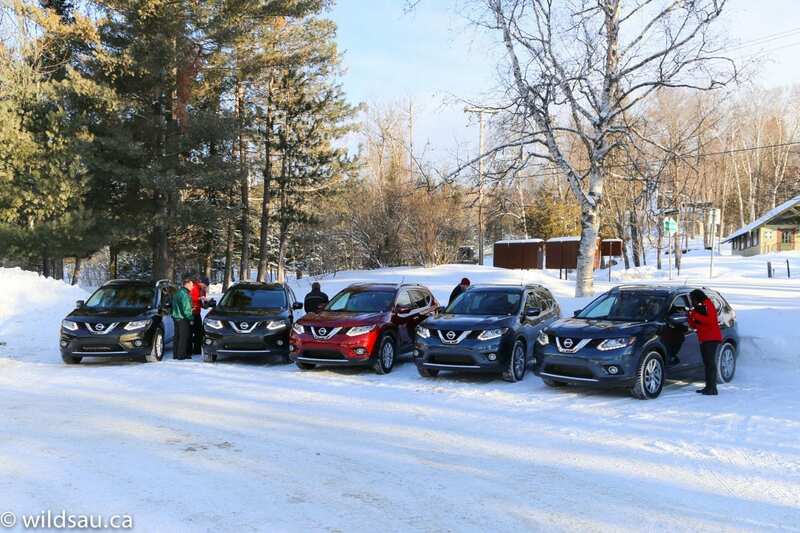 We were here to check out the all-new 2014 Rogue. 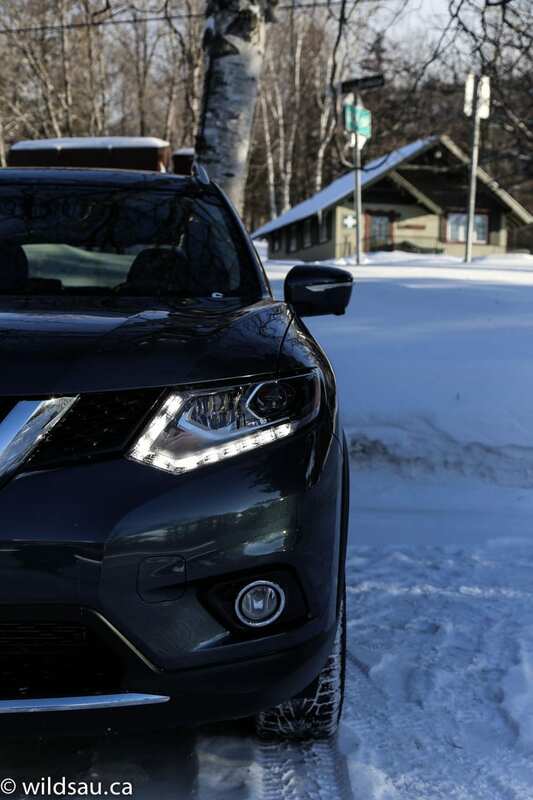 The Rogue is Nissan’s top seller, but they have their eye on moving up in the highly competitive compact crossover segment. To compete better with the sales leaders in the class, Nissan has given the Rogue a new platform (co-developed with Renault) and blessed it with a more upscale exterior, an interior that definitely takes it up a notch, a full suite of driving and safety technology and hey, they’ve even thrown in an optional third row. The vehicle is available in Nissan’s familiar S, SV and SL (the top of the heap) trim levels. The S and SV models are available in front- or all-wheel drive, whereas the SL only comes as an all-wheel drive. 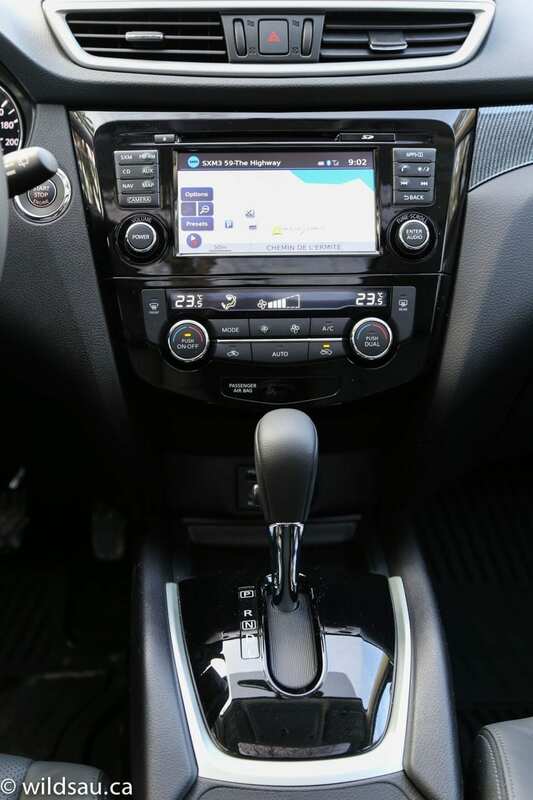 Even the base S trim gets equipped nicely with standard features like a rear-view camera, Bluetooth and USB input. 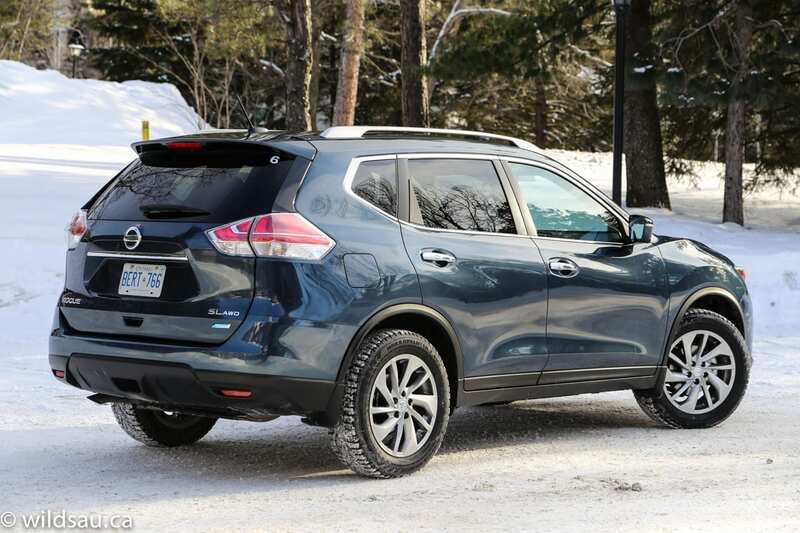 Some of the available options – like third-row seating, Around View Monitor with cameras all the way around, blind-spot and land departure monitoring systems, navigation and a power lift gate – are surprising in this class and certainly take the Rogue up a rung on the premium ladder. Nissan uses the term “everyday premium” to describe the new styling and I buy into that. It’s certainly nice to look at, and looks expensive while taking a bolder approach in terms of its lines. Though nothing is groundbreaking when it comes to the styling, I felt it looked confident, upscale and fairly timeless. I think this new Rogue will age very gracefully. LED running lights, available LED “Boomerang” headlights and Nissan’s corporate “V-Motion” grille elements give the front end a distinctive look, while the wrap-around tail lights get a unique signature as well. Although the outside dimensions haven’t changed drastically (it’s slightly taller and wider, but has actually become 25 mm shorter), the new Rogue has an extended wheelbase and this allowed the engineers to build a bigger, roomier cabin. 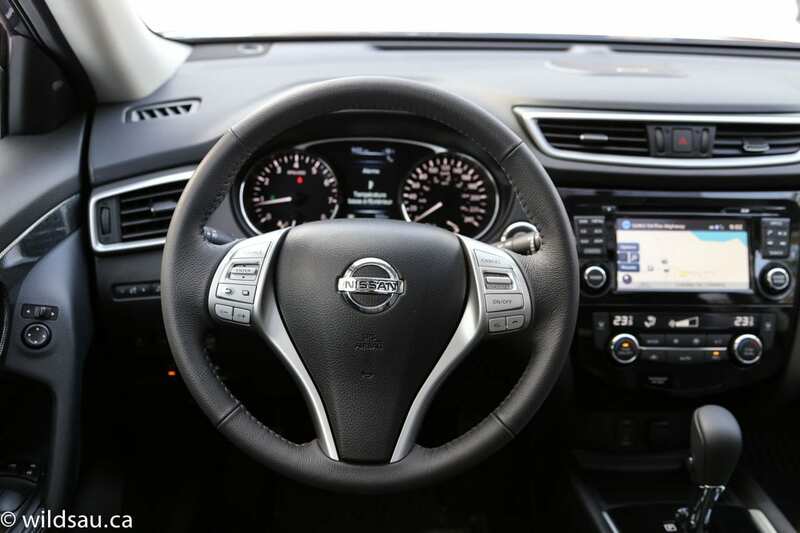 I really liked the dash and cabin design – it came across as upscale and highly functional. 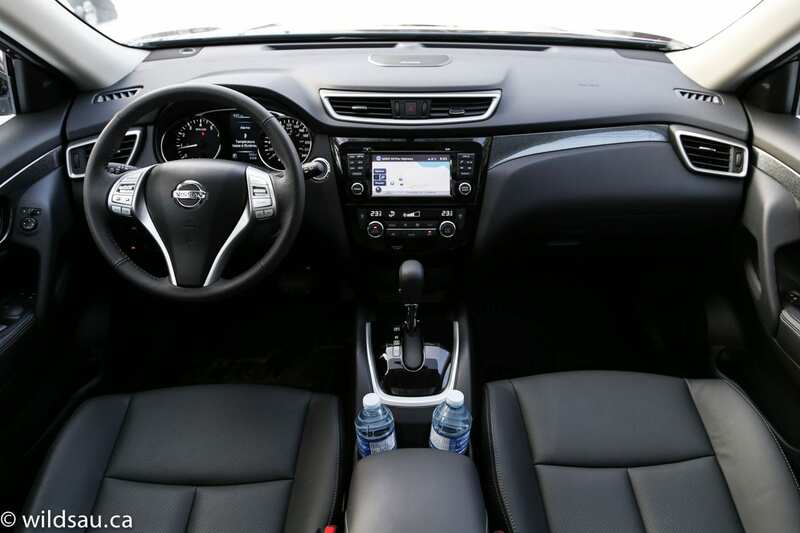 Nissan uses soft-touch plastics, high-end textures and some metallic trim accents which gives the Rogue a truly premium feeling throughout, especially when compared to some of the rivals like the Honda CR-V and the Toyota RAV4. Fit and finish was truly exemplary as well. Nissan brought their acclaimed Zero-Gravity seat concept over from the Altima, and I found them to be highly comfortable. They were power-adjustable, heated and upholstered in leather in my tester. Even the seat heaters got some attention – they’ve incorporated Quick Comfort technology which heats your thighs first and very quickly, and then the heat radiates out up to your lower back and so on. A small but effective change putting heat where our bodies feel it first. The sharp, high-contrast gauges were easy to read as was the big 5” driver information screen between them. 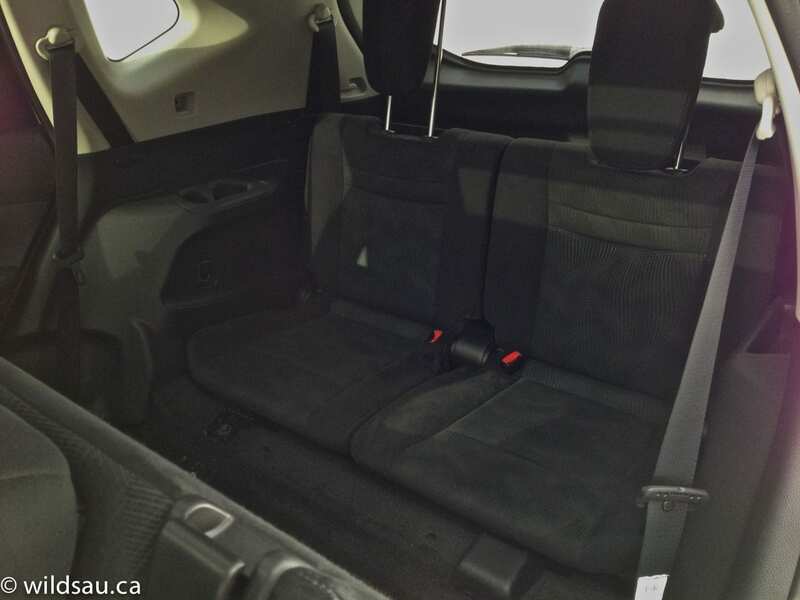 The second row has plenty of leg room and head – it slides fore and aft and reclines. The two main seats are very comfortable and they split 40/20/40, allowing you the flexibility of folding the middle down to transport longer items while using both outboard seats. 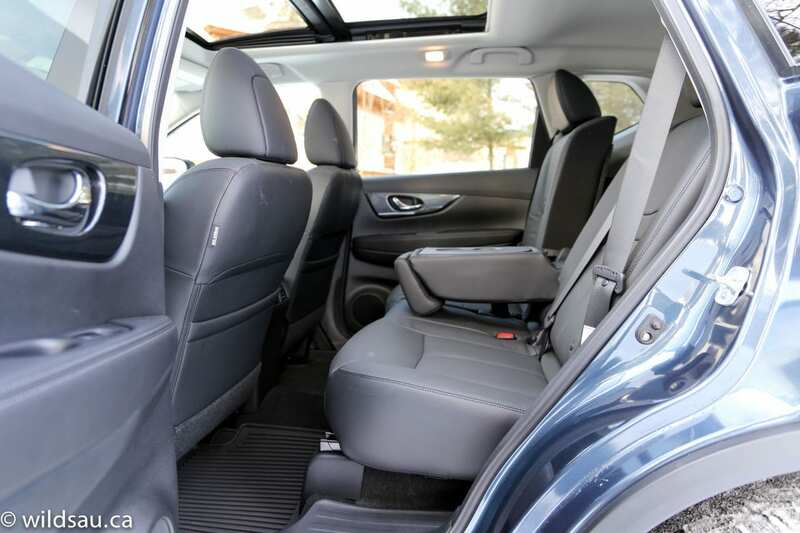 The two-seat third row is intended for occasional use – Nissan is pretty clear that it’s meant to get you out of a jam if you have to get some extra people in the back. But the seat bottoms are about 4 inches off the ground, which means you need to push the second row way up to accommodate people in the back. On the positive side, the EZ Flex second row seats slide and fold forward easily, and make third row ingress simple. There are the typical places to stow your stuff around the cabin, including a rubberized open tray at the front of the console (with a USB and 12V plug) and a spacious bin under the arm rest. 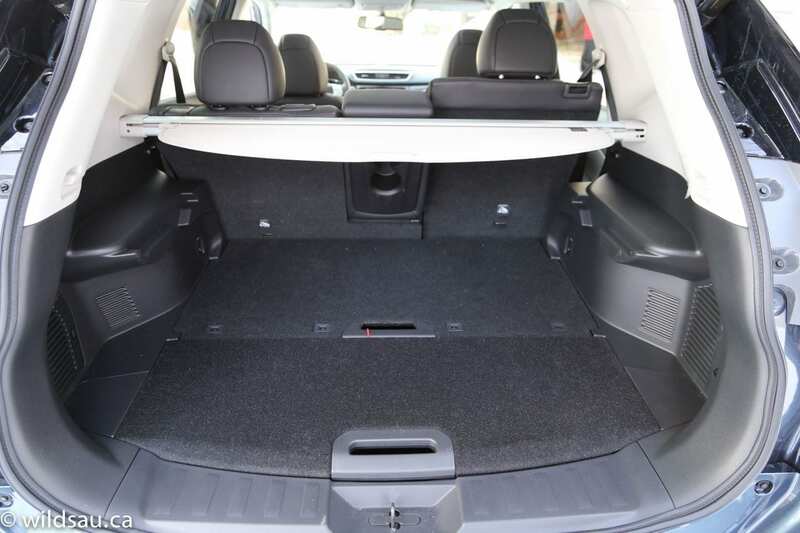 The trunk is large, and even when the third row is in use, it offers a small but usable 266 litres. 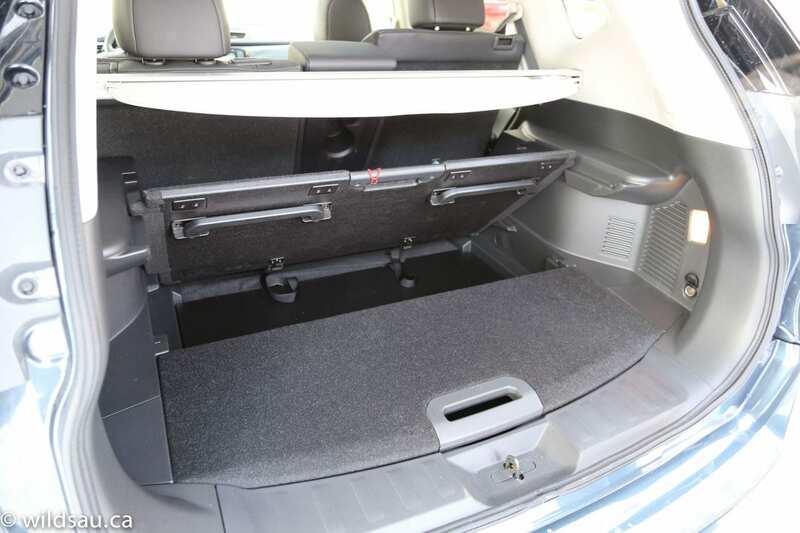 The regular trunk is 906 litres – it’s big and accessible. Fold the second row down, and you get 1982 litres to work with. 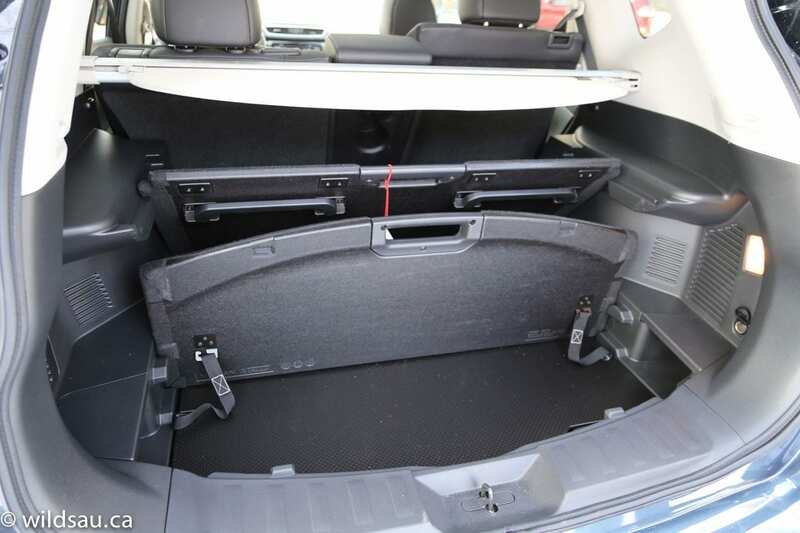 The cargo space benefits from a cool and highly flexible Divide ‘N Hide organization system, which allows 18 different configurations to hope you separate your stuff – wet from dry, clean from dirty, whatever works for you. Though the Rogue offers new levels of interior space, premium touches and driver tech, the innovation stopped under the hood. Here is the 2.5-litre 4-cylinder gas engine that is basically a carry-over from before. 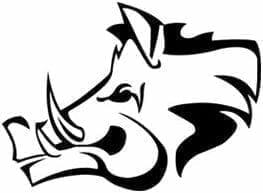 It sends its 170 horsepower at 6000 RPM and 175 lb.ft of torque at 4400 RPM through a CVT (continuously-variable transmission). Fuel efficiency matters in this class and weight makes a big difference. 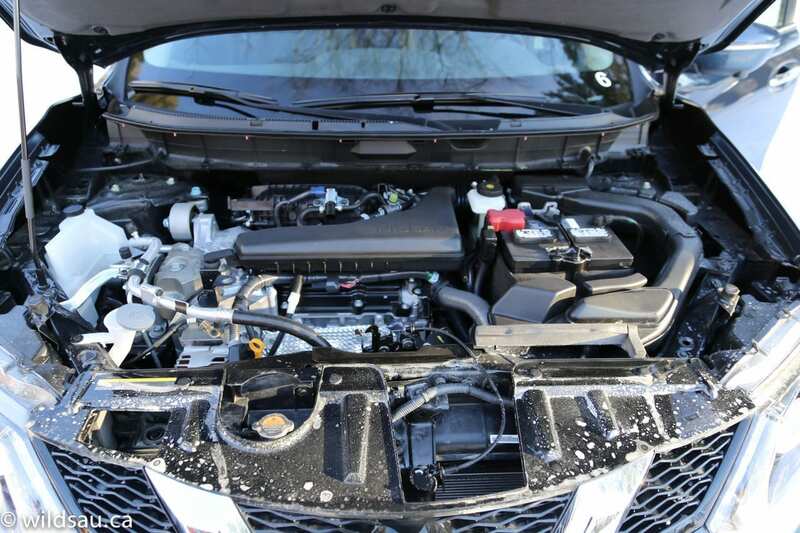 Nissan has taken measures to shave off weight where they could, using parts made from alternative materials such as an aluminum hood and a composite lift gate. The Rogue maxes out at 1639 kg (3613 lbs) for a fully loaded model. 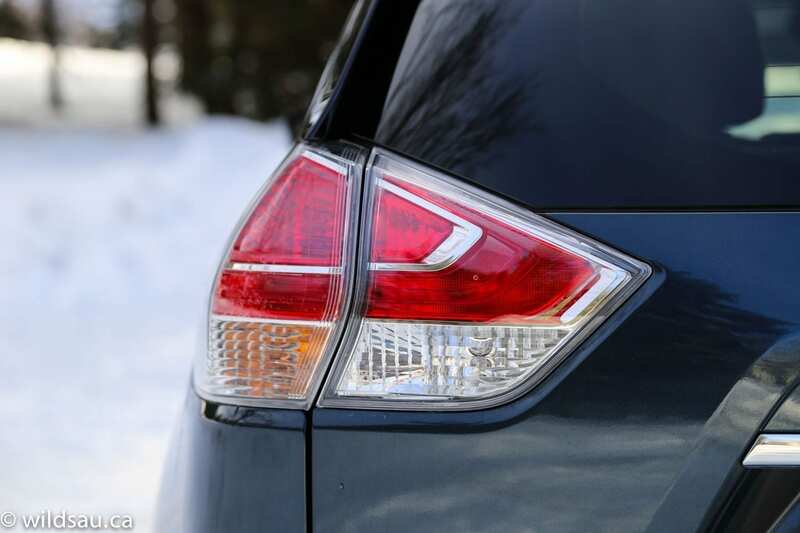 Fuel economy is rated at 7.9 L/100km in the city and 6.0 L/100 km on the highway for the 2WD models. Go with all-wheel drive and that jumps slightly to 8.2 and 6.2, but it still bests the last generation Rogue, as well as the competition – in this case, the Ford Escape, Honda CR-V and Toyota RAV4. 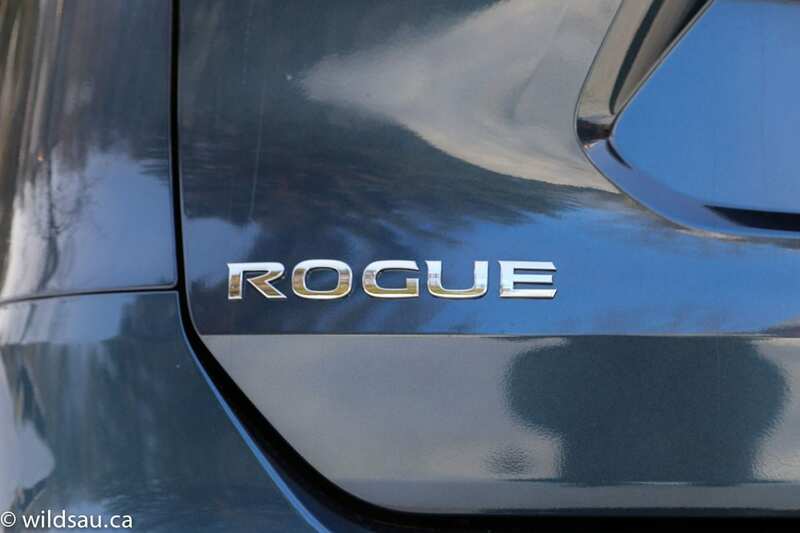 Though it’s not a particularly fast vehicle, nothing else in this class is either and the Rogue is certainly powerful enough. It felt responsive off the line and during city driving, although passing at highway speeds takes some time. 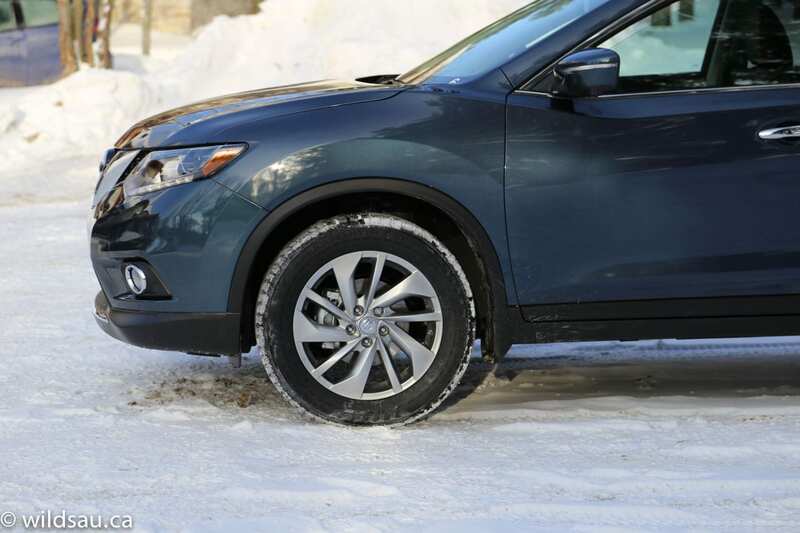 The CVT is smooth, relatively intelligent and mostly unobtrusive. It does send the engine RPMs soaring for an irritatingly long time when you’re stepping on it and it’s trying to build momentum, but during most situations, it was just fine. 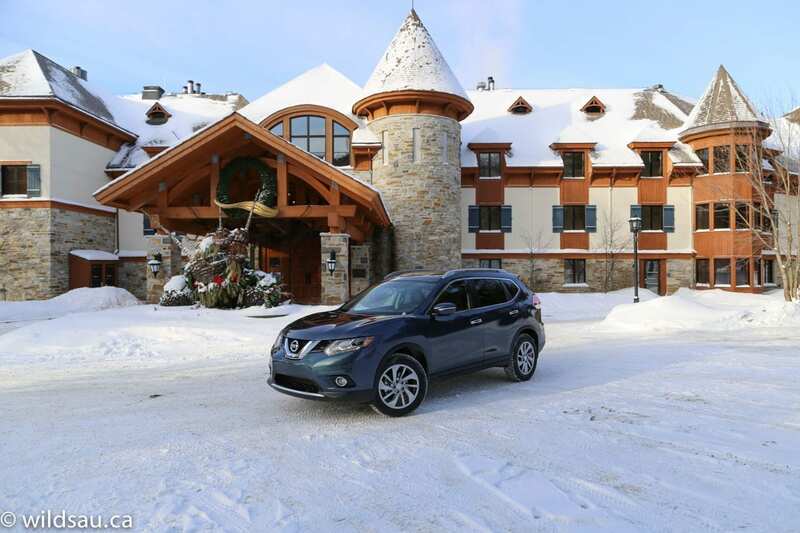 The Rogue drives very much like an upscale vehicle. Its ride is very smooth and compliant and never got harsh, and I found the drivetrain and road noise levels to be very well controlled. There is no question that plenty of work was done in this department, and the overall impression is that you’re in a premium vehicle as you’re driving it. 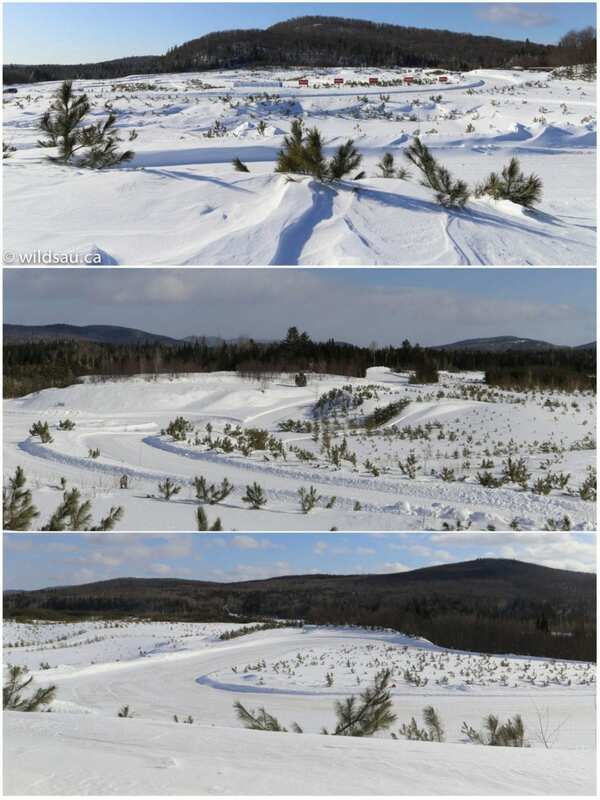 Handling is excellent as well – it felt composed, even as I tossed it around rural Quebec twisties covered in snow. Turns out the all-wheel drive system is quite effective. 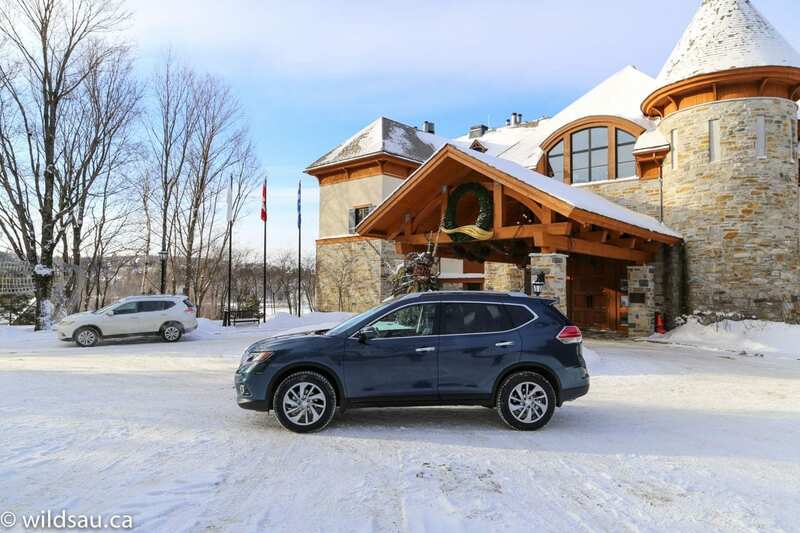 Though it’s clearly front-wheel drive based, it will throw up to 50 percent of the torque to the rear wheels if required and in conjunction with the numerous electronic safety systems, I felt very secure and in control during all the winter driving. 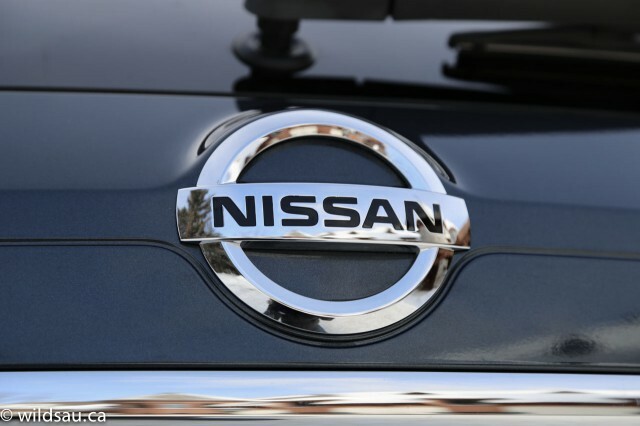 Its abilities are augmented by something that Nissan calls Active Trace Control. This is a system that subtly engages the inner or outer brakes, optimizing your line through turns by controlling understeer. Sounds a bit nebulous, to be sure, but we were able to test it out and it truly made a difference. The average consumer won’t know it’s happening, but it makes a difference in terms of confidence and safety. And that’s a good thing. 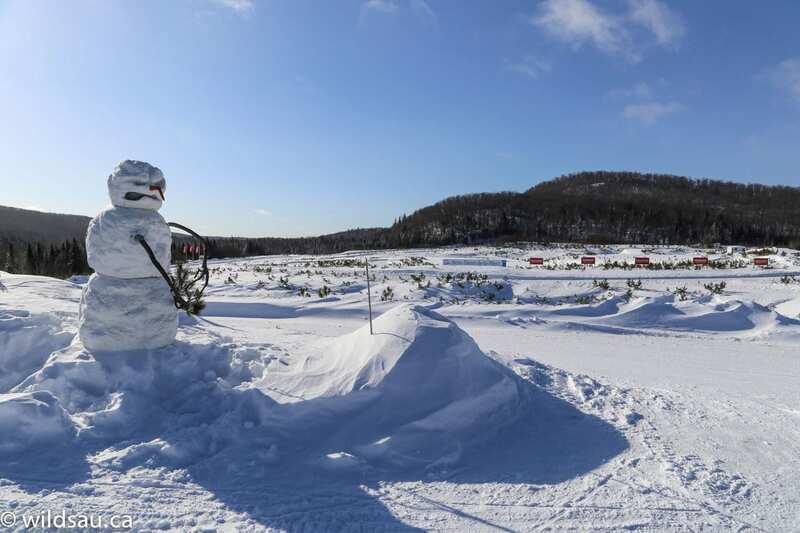 Speaking of winter driving, on the second day we made our way to the famous Mecaglisse Ice Track where we were able to experience the Rogue’s abilities in what might pass as the worst conditions a typical consumer might have to face – a pure ice surface. Once again, its all-wheel drive and safety systems worked together to make it a stress-free situation and I was very impressed. 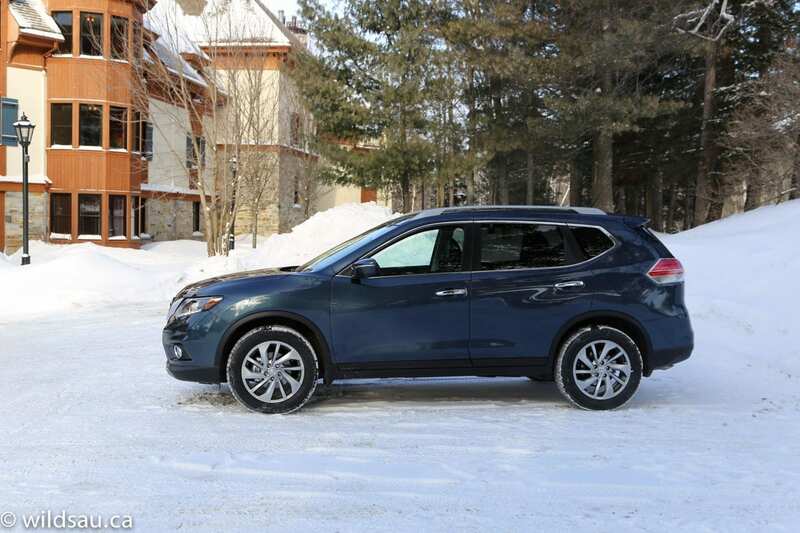 The 2014 Rogue boasts the lowest starting MSRP out of all its competitors, with the S FWD starting at $23,498. You can price it all the way up to a full-load SL which rings in at $33,098. 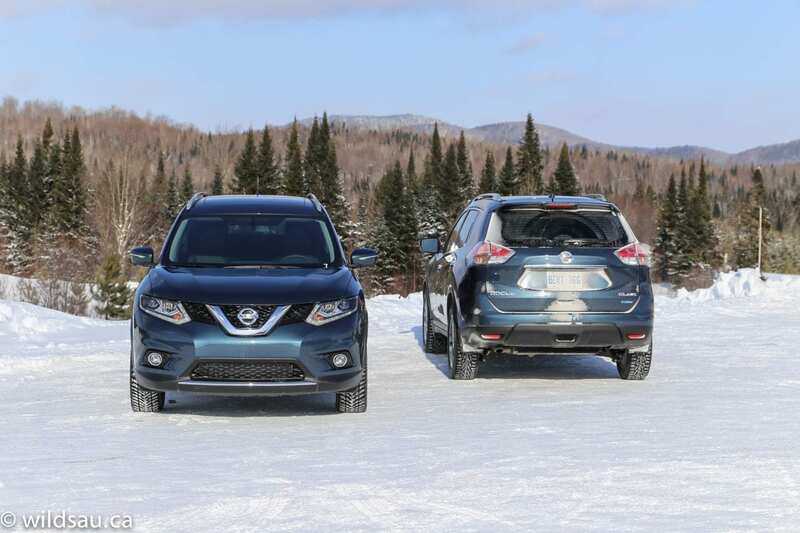 Nissan has kept it simple with two option packages – the Family Tech and the Premium packages. 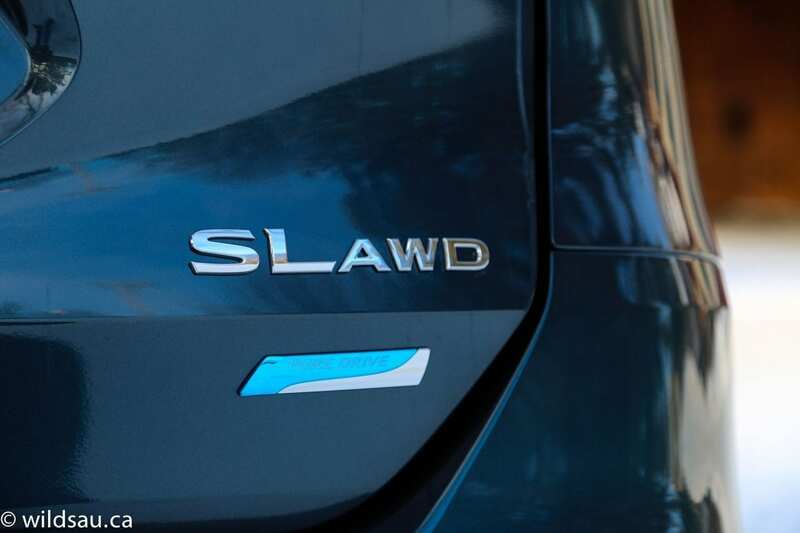 AWD is available on any trim for $2000 – the top-line SL only comes in AWD. 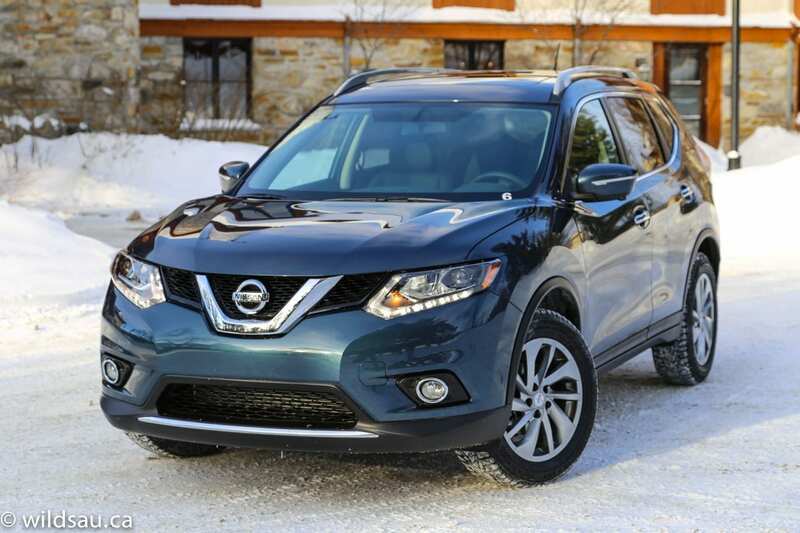 In terms of refinement – inside and out, the Rogue has taken a big step up from its predecessor. 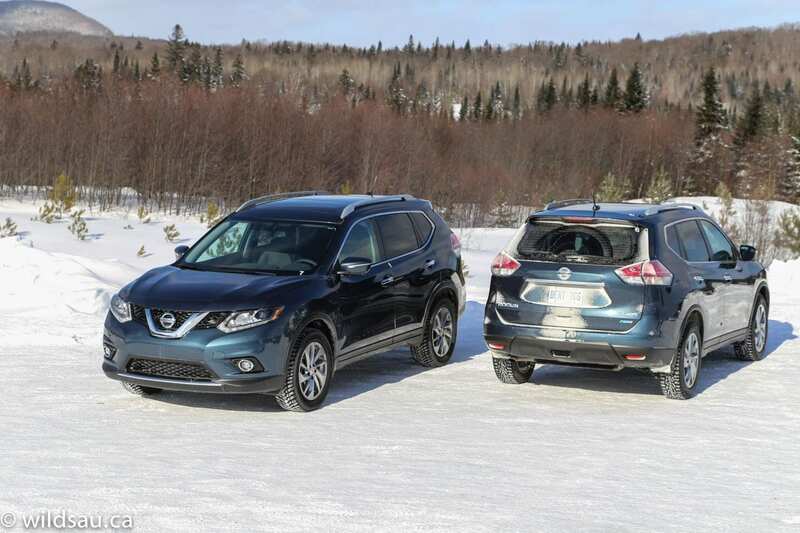 The model has enjoyed a high loyalty rate – 40 percent of buyers have bought another Rogue, and Nissan, who clearly stated that the Rogue is a very important product line for them, is hoping this trend will continue and grow. 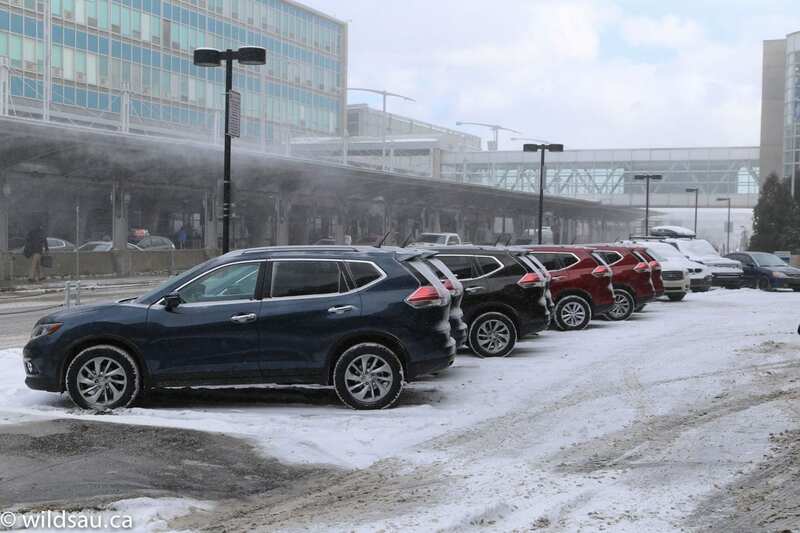 Nissan Canada just had their best-ever year yet I sensed a certain humility during their presentation. One gets the feeling they’re not resting on any laurels earned, but instead are looking into the future and bringing bigger and better things to market. If the Rogue is any indication of where they’re headed, it’s a bright future indeed. 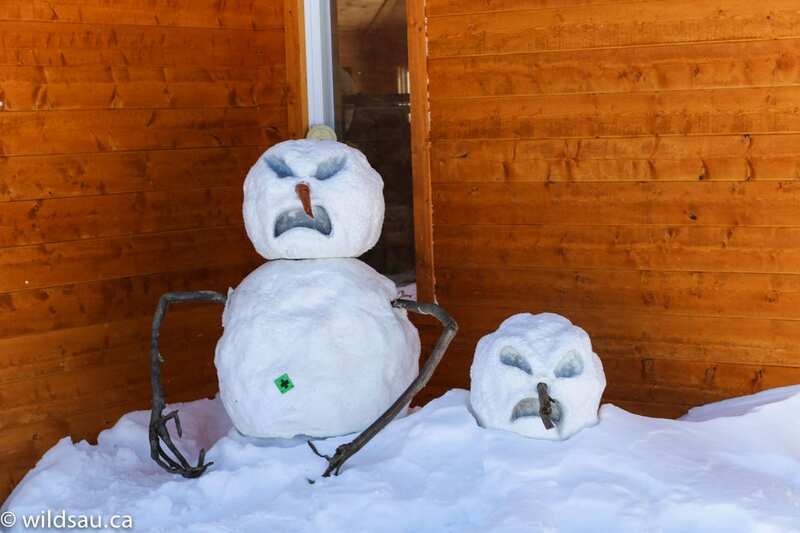 Bring on the Winter Heros! 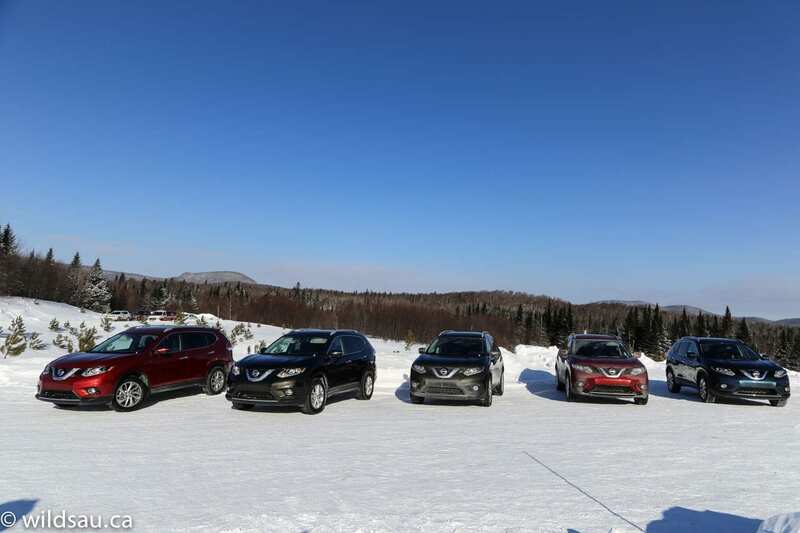 Disclosure: Nissan Canada paid for my airfare, accommodations, meals and fuel and provided the vehicles for this test drive event.